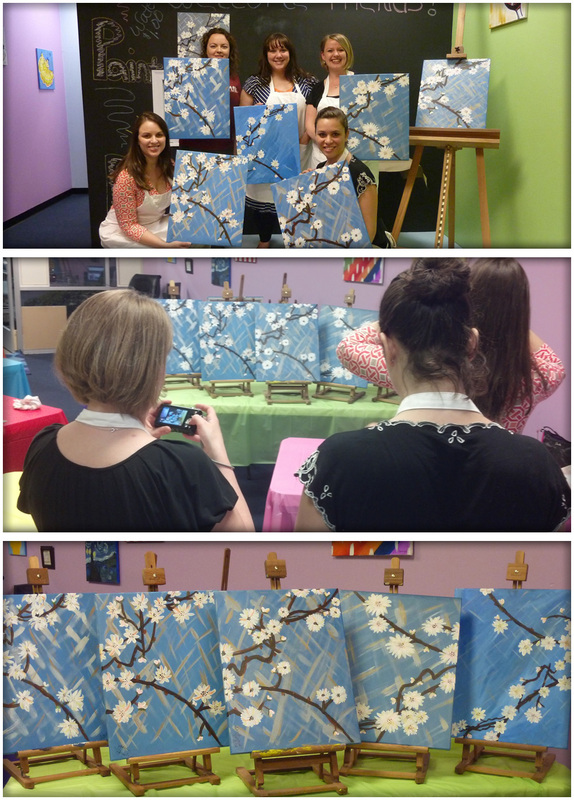 Monday night I met a few friends for dinner, then we headed over to a new shop in Virginia Beach called Paint ‘n Sip, which is essentially an art class that shows you step-by-step how to paint a picture that you get to take home. I think I was the only one there who had ever attempted painting before, so we were looking forward to an entertaining evening. (A couple of those were cell phone pics, so they are not the best quality. The others I stole from Alicia.) You can see in the first picture the original that we were attempting to recreate hanging on the wall. So, if you are in the Hampton Roads area, this is a fun night out with friends! Anyone else out there ever done anything like this? This is such a cool idea! Do you know if there are places like this any where else? I think one of my friends had heard of something similar in Atlanta. I just did a search for “paint n sip” in google, and a couple other shops came up. So funny! I teach this very thing in a small town in Tennessee, Smyrna @ Log Cabin Ceramics and more featuring THE STUDIO. It is soooo much fun! 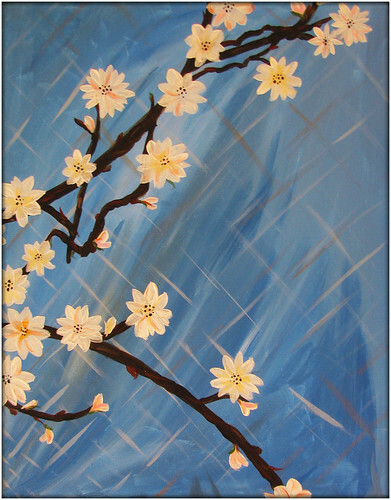 see me @ thestudiopaintingyourway.wordpress.com or logcabinceramicsandmore.com Love it!